A lucky customer was just handed keys to the Ferrari SP38 in Fiorano, Italy. What’s the first thing he did? Hit the track for a series of hot laps, of course. This gorgeous, twin-turbo powered chariot designed by the Ferrari Design Centre is the result of the company’s One-Off programme, offering select clientele bespoke vehicles. Built on the 488 GTB including all-new bodywork, the design team drew inspiration from the iconic F40 – evident from the three transversal slats slash across the engine cover, the smooth integration of a substantial rear spoiler, and carbon fibre flip-up assembly of the rear glass. Covered in three-layer metallic red, the SP38 deviates a little from recent Ferrari’s in terms of styling. This donor car appears concentrated over the rear wheels as the wedge design sharply stretches towards the front, while the boldly tapered nose expands towards muscular wheel arches fro that more agile look. The front assembly is super slim including a bumper design channeling the 308 GTB from the 1970s, paired to skinny inset headlights. 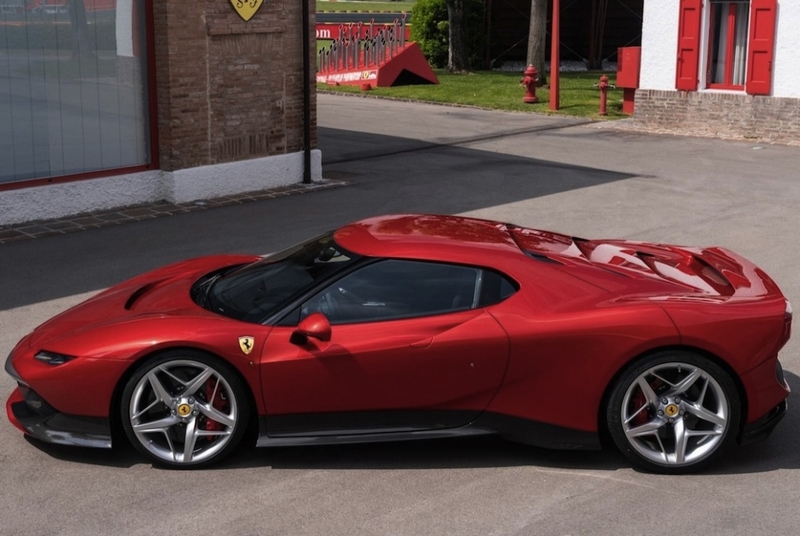 The get a closer look at the one-off Ferrari SP38, keep an eye on the Concorso d’Eleganza Villa d’Este on Saturday 26th May 2018 where it’ll make its official public appearance. This post When a Ferrari 488 GTB & F40 Make Love You Get an SP38 appeared first on TractionLife.com by News Editor. Sebastian Vettel’s driving excellence is undeniable in Formula One. As a four-time world champion, he is the third most successful driver in F1 history. At his youthful age, he still has a lot of racing ahead of him. Now under the Ferrari brand, he might be on a course to continue breaking records, or at least we hope so. 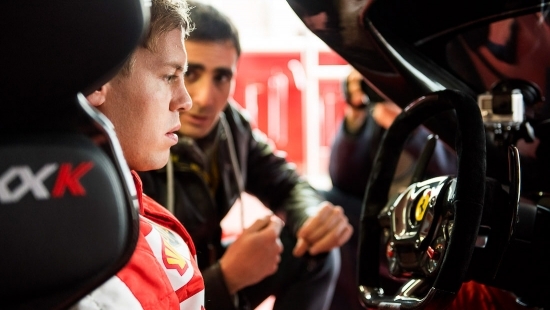 Signing with Formula One’s Team Ferrari has it’s perks. You are now racing for one of the premiere teams in the sport, and you have the opportunity to drive some amazing cars coming out of the Italian automaker’s factory. The latest is their all new FXX K, and Vettel was invited to Ferrari’s test track to put the FXX K to it’s paces. Being the decorated driver that he is, driving the FXX K to the limits should be a simple task. But I’m sure even though Vettel is coming from driving a Formula One car, the FXX K should still be a thrilling drive. Not being able to teach an old dog new tricks doesn’t really fit the Ferrari mold. Turning 40 this year, Ferrari is still pushing the envelop on performance, styling and technology when it comes to their cars. 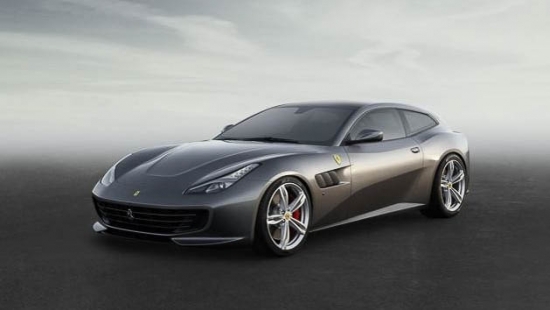 To continue pushing the boundaries, Ferrari will be producing 350 bespoke special edition vehicles. Lets be clear, they aren’t producing 350 bespoke of the same car, each and every one of the 350 vehicles will be unique. What we should be expecting to see are 70 unique variations of the California T, 488 GTB, 488 Spider, GTC4 Lusso, and F12 Berlinetta. Each of these vehicles were chosen specifically because they represent the history Ferrari. 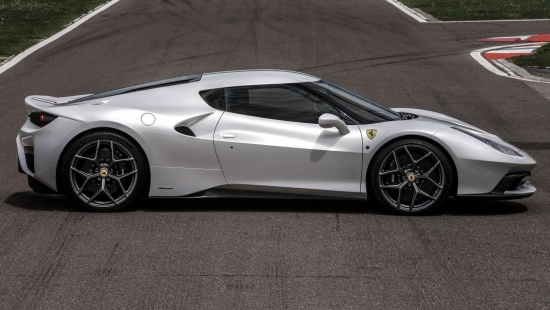 To be able to create 350 unique cars, Ferrari’s Tailor-Made division will be working overtime. The Ferrari 458 Speciale MM is mmmmm so good! Based on the 458 Speciale, the MM suits up in an all new body design which completely alter the looks of the car. Compared to the standard 458 Speciale, the MM’s body is extended with aluminum and carbon fiber which starts right at the front of the car which received an all new one off front facia. The body line continued to be modified right down the length of the car all the way back to her hips and the rear wasn’t left untouched either. Rounding out the exterior modification was a set of custom wheels which were designed for this vehicle. The car rides on a set of all-new wheels, designed specifically for the MM. One thing that was left untouched was the powerplant which is as Ferrari intended from the factory. Their 4.5L V8 motor powers the MM and delivers 597 hp and 398 lb/ft of torque. Seeing as how the owner went to such lengths with the exterior modification, I wouldn’t be surprised to see some forced induction happening to this car in the future. But for now, you can continue to feast your eyes on this one off factory creation. 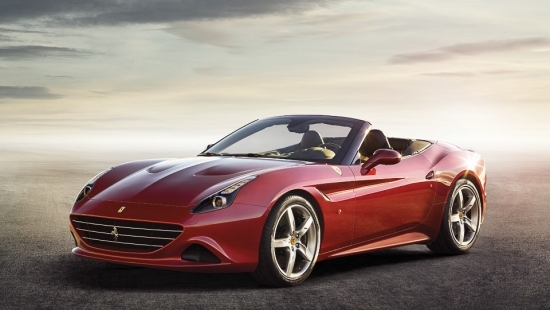 Ferrari is a brand name synonymous with beauty and performance. Also words you would typically associate with this company are luxury and expensive. 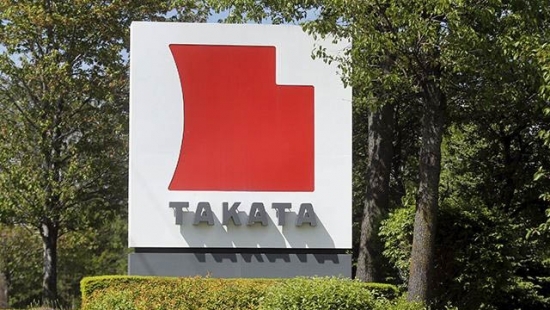 What you won’t typically associate with this brand is roller coasters. Well that is up until 2010 when Ferrari decided to branch out and give families of all sizes a taste of what it’s like to be behind one of their cars, albeit while it’s tied down to rails. 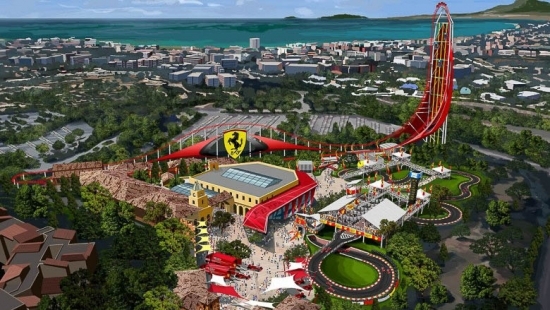 Ferrari opened their first theme park in Abu Dhabi in 2010 and there’s already one more under construction in Spain. Rumors is that there is a third theme park being build in one of China’s major cities, and also a potential destination of a fourth park in North America. There is no disclosed location set yet on our shores, but initial guesses will either be somewhere in California to coincide with all the other major theme parks in the area. But that’s still all speculation at this point. When you think about camping vehicles, you think about minivans, SUVs, trucks, or for those who want to splurge an RV. These are the typical modes of transportation that frequent campsite with family in tow. When it comes to Red Bull, they don’t like to go typical. Instead, they go for what every car nut had on their bedroom wall in the 90’s, the Ferrari F40. That’s right! A friggin Ferrari F40 to go camping. 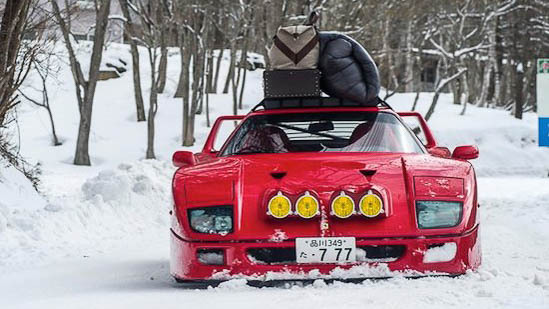 Red Bull took their F40 to Japan who put the car to its paces on some not so foreign soil, or snow in this case. They drive up to a ski resort, slap on some snow chains paired up to some studded tires, and go balls out climbing the ski slopes. Building speed up the slopes definitely wasn’t much of an issue when you have a 2.9L V8 twin turbo motor pumping out 478hp right behind your head. So next time you look at your sports coupe and think to yourself it probably won’t be a good travelling car, slap yourself in the face and remember the image of this F40 climbing snow hills with luggage strapped to its roof, then winds down at a camp site to a warm glowing fire. 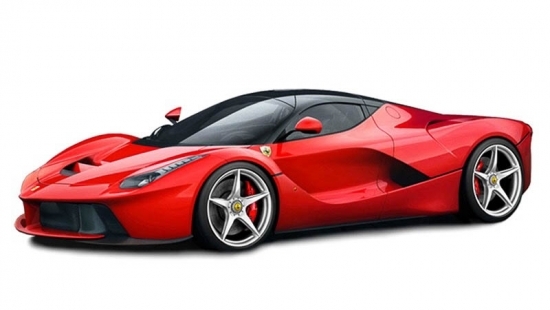 Ferrari’s La Ferrari is a much sought after super car. The words limited and rare doesn’t even begin to convey the ultra exclusive rights of owning one. When Ferrari first launched the La Ferrari, the price tag was set at $1.35 million. Due to very limited production runs and it’s stellar performance spec sheet, it wasn’t uncommon to see La Ferrari’s change hands for twice as much. 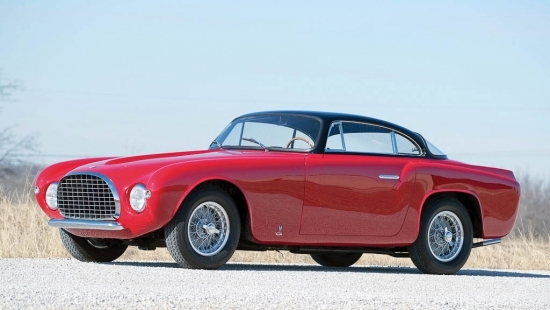 However, at $4.7 million, that’s over three times the original price. The most recent record pricing of a La Ferrari can be found at the Fort Lauderdale Collection South. The car is a low mileage vehicle with only 388 on the ticker. The car is painted Ferrari’s Rosso Corsa over a black leather interior with the optional prancing horse stitched into the headrest.